If you’re keen to lose weight and improve your health, switching to the ketogenic diet is something worth investigating. Similar to the Atkins diet, a ketogenic diet involves reducing carbohydrate intake and increasing fat in your daily eating. Reducing carbohydrates gradually puts your body into a state known as ketosis. The human body becomes far more efficient at burning fat during ketosis, and this can help with weight loss. The amount of weight you can lose on a ketogenic diet depends on a number of factors. Although you can improve your body’s fat burning ability, you still need to eat sensibly. Reducing the amount of sugar, dairy and wheat products in your diet will help to speed weight loss. Adding an exercise regime is another step towards a leaner and healthier body. The following facts about a ketogenic diet will help you to achieve your weight loss goals quickly and safely. 1. Initial benefits come from water weight loss. Losing water from the body is common when you switch to a low carbohydrate diet. This can be encouraging, as you may shed pounds quickly in the early stages. As your body composition changes the rate of weight loss will slow down, and it’s important not to lose motivation at this stage. The good news is that if you stick to a ketogenic diet plan your body will turn into a fat burning machine. 2. It’s possible to eat too much fat. 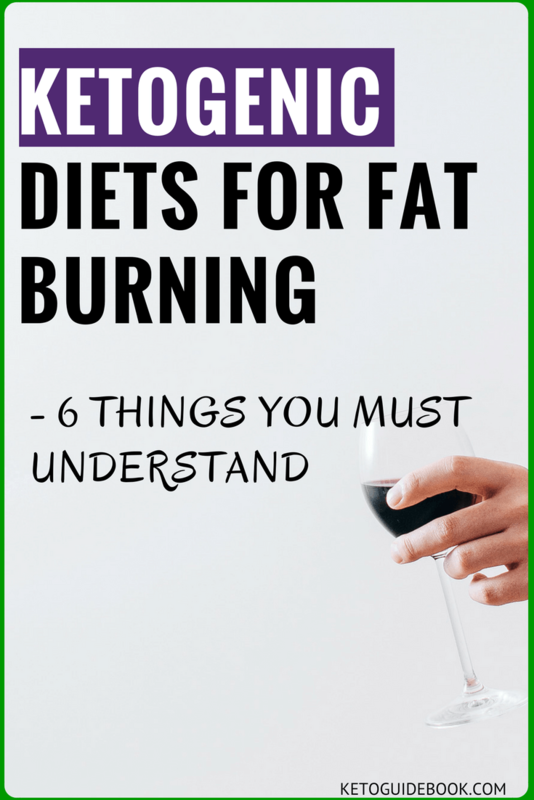 A common misunderstanding about diets such as Atkins is that you can consume unlimited amounts of fat so long as you restrict your intake of carbohydrates. Any weight loss diet will only work if you reduce your net calorie intake, and this means monitoring fats as well as other food groups. Increased consumption of proteins and fats does help to reduce your appetite during the day, and this makes it easier to control how many calories you take onboard. 3. You may experience a drop in your energy levels. Reducing the level of carbohydrates in your diet can be tough on your exercise regime at first. If your body is used to fuelling itself from carbs, you may struggle to keep up with endurance workouts as you adapt your diet to achieve ketosis. This is part of the process, and it’s one of the signs that your metabolism is adapting to burn fat more efficiently. Sports drinks and gels can help you get through this difficult phase. 4. You increase the risks of high cholesterol. Increasing the amount of fat in your diet carries the risk of raising the level of cholesterol in your body. It’s important to understand that there are two types of cholesterol, and it’s only LDL cholesterol you need to keep in check. High-density lipoprotein (HDL) helps to flush the bad LDL cholesterol from your body. Fatty fish, advocado, whole grains and nuts are rich sources of HDL, and they can be eaten as part of a ketogenic diet. 5. You must ensure you eat enough fiber. One of the arguments against diets lower in carbohydrates is that they can cause constipation. This is often due to a misunderstanding of the types of foods you can and can’t eat when restricting your intake of carbs. You should still eat plenty of healthy vegetables and maintain sources of fiber in your meals. 6. There are clever ways to replace carbs so you don’t miss them. Finding low and no-carb foods is one of the challenges of a ketogenic diet for many people. If you’re used to a diet of bread and pasta, you may find the switch difficult. Try zucchini ribbons as a substitute for tagliatelle. Crumbled cauliflower is a satisfying alternative to rice. If you think creatively, there are plenty of ways you can replace the cravings for the types of foods you’re used to eating. Ketogenic diets are a proven way to burn fat using the body’s natural metabolism. Additional benefits can include improved muscle definition, reduced appetite and greater mental energy levels. P.S. Take a look at the Keto Guidebook. With over 270+ easy-to-prepare Keto recipes. It is the only Keto book you will ever need.